U.S. President Donald Trump and first lady Melania Trump arrive in Vantaa, Finland, July 15, 2018. Picture taken July 15, 2018. Lehtikuva/Heikki Saukkomaa via REUTERS ATTENTION EDITORS – THIS IMAGE WAS PROVIDED BY A THIRD PARTY. NO THIRD PARTY SALES. NOT FOR USE BY REUTERS THIRD PARTY DISTRIBUTORS. FINLAND OUT. 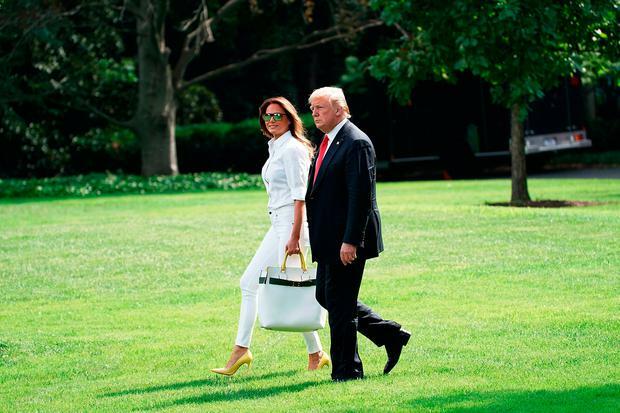 US first lady Melania Trump reportedly “uses her fashion choices to punish” husband Donald, and “can’t wait” to divorce him, according to a new book by a former senior White House staffer. Omarosa Manigault Newman, who first began her working relationship with President Trump in 2004 when she appeared as a candidate on The Apprentice, began working for the Trump administration in 2017 as Director of Communications for the Office of Public Liaison. Her new book, Unhinged, details explosive claims about Mr Trump and life at the White House since his 2016 victory, including the allegation that there is a recording circulating of him saying the n word during production of The Apprentice but this is the Style section, so let’s stick to our facts. Melania, a woman who has been publicly pitied and reviled in equal measure, continues to fascinate the wider public as she chooses to stay staunchly silent on a number of political and humanitarian issues. But Omarosa believes that the former model is using her oft controversial fashion choices as a form of quiet protest to punish her husband. 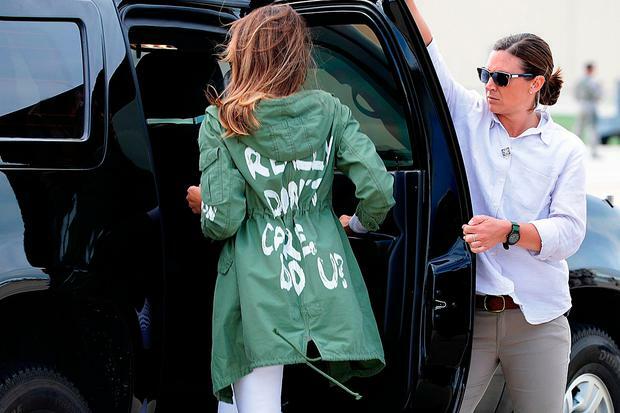 Most notably was the ‘I Don’t Really Care, Do You?’ jacket she wore while visiting a Texas shelter for immigrant children separated from their parents who were detained at the US border during the peak of the controversial new policy. Similarly, in 2016, after a tape was leaked of Trump speaking of “grabbing” women “by the p***y”, she was, days later, wearing a pink Gucci pussybow blouse. 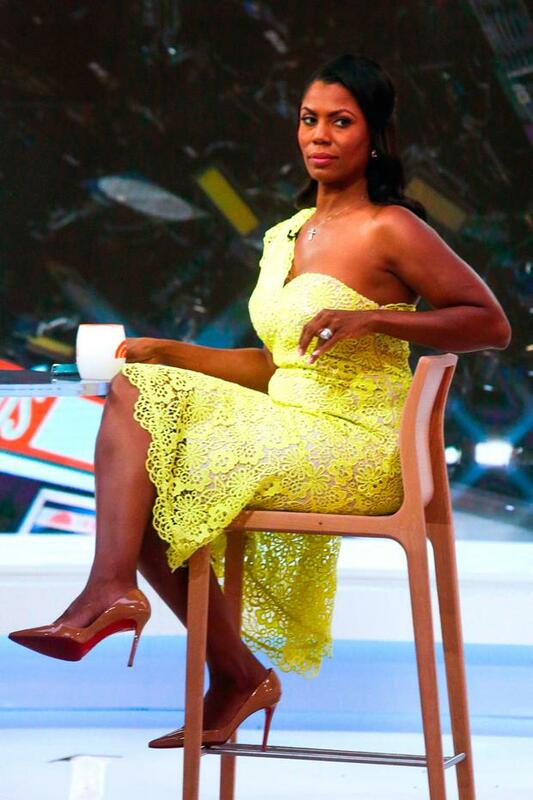 “Taken as a whole, all of her fashion rebellions have served the same purpose and not only misdirection and distraction – strategies her husband knows all too well,” Omarosa writes. She followed up by claiming that Melania plans to divorce her husband of 13 years once he has ended his time in office. “In my opinion, Melania is counting every minute until he is out of office and she can divorce him,” she wrote. Omarosa released what she says is a recording of her conversation with President Trump the day after she was fired by General John Kelly for alleged ethical violations, saying he was unaware her time at the White House was over. “I can’t guarantee anything,” she said. Omarosa is also facing a potential legal battle for recording her conversation with Mr Kelly in the Situation Room, which is intended to be the most secure room in Washington D.C., and the administration has filed arbitration against her, alleging she violated a secrecy agreement.